“Marie-Françoise Caroline Malvesin was born in Marseille on the 27th of August 1806. Her father, a native of Saintonge, was a wholesale dealer of colonial goods. She was only thirteen years old when she lost her mother, a sincere and godly Christian. Caroline had two elder sisters and three brothers. Around 1820, Mr Malvesin, who had been ruined as a consequence of the ‘Continental Blockade’, retired to Saintonge with his three daughters. The two elder daughters married. In one of her letters (of 1841), Caroline relates that around the age of 17 (i.e. around 1823), she had the dream of becoming a Sister of Charity: “I told all the young girls, and they all said: “We will come with you.” ” But after the death of her father (1) she had to find a position as a schoolteacher in one of the local families in 1824. This is when she met pastor Vermeil, whose ministry strengthened her inner dispositions. Subsequently, she and the Vermeil family became friends. However, it seems that there was no major spiritual breakthrough in her life before 1839. 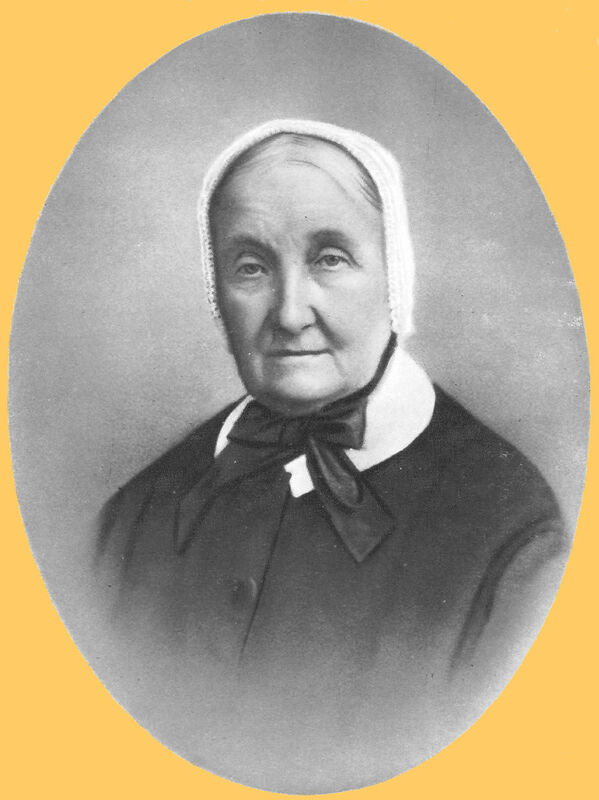 On February 6, 1841, Caroline wrote to Antoine Vermeil, who had then accepted a pastoral position in Paris, in order to express her sadness “not to see any opportunity to dedicate herself to the service of the Lord” and ask for his advice. On that very same day, her former pastor sent her a letter to inform her about his project of a community of deaconesses. So the founding couple of the Deaconesses of Reuilly was established. So Caroline came to live in Paris. At first, she spent a few months with Mr and Ms Vermeil, then she occupied a little house near the Barriere Charrenton (7). We have not found any other traces of direct contacts between Adolphe Monod and Caroline Malvesin. In view of the influence Monod’s sermon have had on the spiritual life of Caroline, one would, however, expect that she went to listen to the pastor after he had been called to the Temple de l’Oratoire in Paris in 1847. Consequently, Gustave Lagny, the historian of the deaconesses considered that Monod “turned out to be a faithful, strong and valuable supporter for the young Community and its founders” (9). Adolphe Monod died in 1856; Caroline Malvesin outlived him by 33 years. She envisaged retirement in 1862, but her designated successor, Ms Dunant-Widmer, suddenly died in 1863 (10). She again asked to be relieved of her duty as director in 1867, but it was only in October 1869 that sister P.-A. Waller actually replaced her. Finally, let us mention that Sarah Monod (1836-1912), the daughter of Adolphe Monod, was very close to the Deaconesses and to their sister superior; it is she who wrote the booklet “La sœur Malvesin, diaconesse, 1806-1889”, which was published in 1893. Sarah Monod, Adolphe Monod, I. Souvenirs de sa vie. Extraits de sa correspondance, Paris, Librairie Fischbacher, 1885, 479 p. A partial English translation is available : Life and letters of Adolphe Monod, pastor of the Reformed Church of France, London, J. Nisbet & Co., 1885, 426 p.
Sarah Monod, La sœur Malvesin, diaconesse, 1806-1889, Paris, Librairie Fischbacher, 1893, 36 p.
(5) This sermon of 1841, which is entitled “The lover of money” is still in our possession. (11) Sarah Monod, Sœur Malvesin, p. 34, mentions that the pre-school was established in 1873 and the primary school in 1876.